Home » Uncategorized » Celebrity’s “Edge” is upon us! Celebrity’s “Edge” is upon us! Celebrity’s new class, EDGE, will be sailing at the beginning of 2019. This revolutionary new ship will change the way you experience life at sea. After two years of planning, every single design element has been pushed to the EGDE. Several new venues, including Eden, Magic Carpet, and other groundbreaking spaces will deliver a completely different experience. Eden is a space where nature takes over as it is sometimes referred to as a “room that lives.“ You won’t find anything else like it at sea. Magic Carpet is the highlight of an outward facing vision that can amaze by changing moods, functions, and even location. It has a cantilevered floating platform that soars the open ocean. Do not worry as there is a full bar and a section for live music and entertainment. Many of Celebrity’s itineraries include up to four FREE amenities. 4. Up to a $300 shipboard credit. 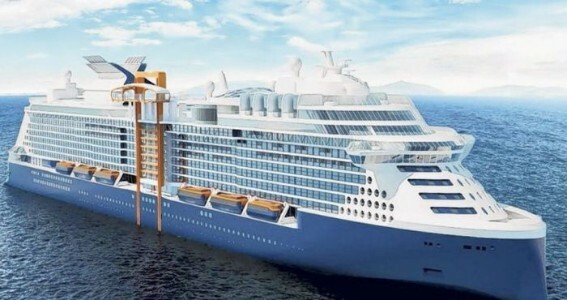 UN Messenger of Peace, Malala Yousafzai, is the godmother of this new ship—Good Karma most certainly on this ship!! ← Greece – Wonderful Islands!